South Sudan: The Time For Talk Is Over, What we Want From Our Government! What We Want From the World! As we approach the end of the first half of year, the recent news about another agreement of peace between President Salva Kiir and Dr Riek Machar is welcome news indeed. The duo ‘finally inked an agreement to end the war’. Whilst we digest this development with cautious optimism, it seems appropriate at this point to reflect on the goals set following the last HART visit in January to assess the peace situation in South Sudan and consider if any progress has been made towards peace. Historically, the deterioration of the relationship between Kiir and Machar sparked the civil war in 2013. The citizens of the country have been grappling to escape this devastating conflict since. It will be recalled that previous attempts at peace deals failed. The collapse of the 2015 peace deal which aimed to restore peace and stability failed. Festus Mogae, head of the Joint Monitoring and Evaluation Commission (JMEC) and former Botswanan president attributed this to ‘their failure to come together and reconcile that took much longer than expected, and in the end, it resulted in violence’. According to Mogae, ‘the people of South Sudan are worse off than before’. Perhaps it is what may be considered as snail-like progression and implementation of real change that calls for such opinion. Other attempts by President Kiir, who declared a unilateral ceasefire in May 2017, followed the same fate as previous government-declared ceasefires and fighting has continued. This begs the question as to whether the current peace agreement will face the same fate. Assessing the previous HART report, we noted a number of recommendations for both the government of South Sudan and UK, as well as the International Community. 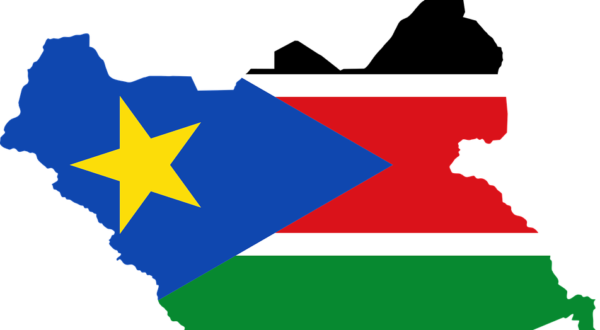 To the government of South Sudan, there was a call for the continued promotion of civilian disarmament in order to encourage people to settle conflicts without the use of arms. While various civilians fear for their government’s inability to protect them if they are unarmed, many believe that ‘guns are the enemies of human beings’ as stated by General Daniel Awet Akot. Notably it seems to be the ‘cattle raids’ and ‘revenge killings’, which highlight the necessity for the promotion and execution of disarmament. It is the continued enforcement of this regime that suggests that contrary to Mogae’s statement, perhaps the people of South Sudan are not necessarily ‘worse off than before’ but rather they have not moved very much at all. Although, it must be noted that the move towards disarmament does not come without its doubts – one particular cattle farmer expressed fears that ‘arms, the handing over of guns or not, will still be widely available as he does not trust the ability of the authorities to keep the confiscated weapons safe’ and so find themselves in a worse position. On the other hand, the movement towards disarmament seems to be the only positive step towards progression in what appears to be a relatively stationary drive towards change. This can be seen in the absence of constitutional review, which was supposed to address the balance of power. This is crucial in building what has the potential to be a strong and unified country in its own right. Furthermore, the lack of appropriate measures being taken to prevent corruption and build trust with the international community does not help matters. Arguably, this issue stems from the lacking of a constitutional review – perhaps a redress of the balance of power would lead to a redress of corruption and trust in the nation. To the UK government, there was a call for the continued support of the UN Council decision for an Arms Embargo, which the government duly followed, as seen by Christ Trott UK Ambassador to South Sudan who highlighted there are ‘enough weapons in South Sudan’. However, the achieved goals of the UK government appear limited. Not for lack of trying, but perhaps it is the worry of the government that due to the volatile and capricious nature of South Sudan at present, promotion of constitutional reform and the development of health services does not seem to be the right course of action. Although, this begs the question – what made Rwanda, Eritrea and Uganda different from the case at hand that such constitutional reform could be accomplished in those contexts but not here. Arguably, it is the idea that these countries or at least notably Uganda called for constitutional reform themselves. As recent as 2013, Speaker of Parliament, Rebecca Kagada called for an amended constitution ‘so we can trim the powers of the President’, whereas South Sudan has yet to show such an interest. While this may provide an explanation for the delay in progression, this does not justify the complete lack of progress. As noted by Baroness Cox in a 2017 debate, ‘the UK has an important role as the second-largest bilateral donor and a member of the troika’. It is important for the UK government to continue its efforts but most importantly advance them. To the international community, Yasmin Sooka, Head of the UN Commission has warned that ‘the stage is being set for a repeat of what happened in Rwanda and the international community is under an obligation to prevent it’. Yet, despite the recommendation of HART, amongst others, little is being done to abate these warnings. Agreements such as ARCSS (Agreement on the Resolution of the Conflict in the Republic of South Sudan) are supposed to aid in the attempt to liberate the country from its current state of fragility and hopelessness that plagues the country, of course this has yet to be achieved. Furthermore, in spite of the UN retaining the right to impose its will forcibly, the inability of its members to reach a consensus in consideration of South Sudan and how to approach the crisis is what appears to be hampering progression. More so, this seems to have led to a loss of faith by the South Sudanese people in the international community ‘following the naked violation of ARCSS’ by Kiir’s regime and ‘its subsequent silence followed by their endorsement of General Taban Deng as a replacement to Dr Riek Machar’. Arguably, the international community has yet to recognise their crucial role in ending the atrocities in South Sudan. Highlighting some developments but also the lack of progress in South Sudan six months into the year suggests that while the people may not be “worse off than before” they are clearly not better. More must be done urgently to move the people of South Sudan from the stationary surrounding of isolation and horrific violence to an environment of developing safety and nation rebuilding. 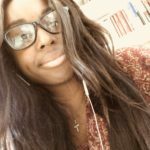 Rachel is currently studying Law and participated in our annual HART Prize Competition in which she was awarded Joint-First Prize for her personal depiction of the abduction of the Chibok girls by the Boko Haram in Nigeria in 2014. As a result, Rachel was able to complete a week’s work experience at our HART site during which she engaged in a number of activities and roles. Her interest in HART’s work stems from passion about human rights and charity work across the globe.